Henleaze Corinthians, one of the league's founder members (a group of parents of children at Henleaze School) put out an appeal to play a fund raising game for Red Nose Day in 1993. The Golden Bottle at Lockleaze came forward. The game turned out to be an eventful game (for all the wrong reasons!!) and the Lockleaze Bottle Boys proved to be too “hard” for the gents from Henleaze. Other more friendly friendlies followed against combined teacters/parents teams and against Chris Carter's Red Star Bedminster - another founder member. The boredom of two games in a row against the same opposition, and a few lunchtime pints, set Harry Mottram (Henleaze) and Chris Carter (Red Star) thinking about finding a few other teams to form a mini-league. A small advertisement placed in The Venue led to a few more teams making contact and in May 1995 the first official tournament took place at Henleaze School. This tournament was won by Woodland Road Wanderers. They never went on to join the Corinthians League as they realised they were too good and should have been playing in a proper league all along!! The tournament had been a great success and confirmed the demand was there to form a Casual League. The Cup final that year was between Poetic Champions, who had a 100% league record, and fourth placed Farmers (who became Hewlett Packard Farmers). The final took place at the same time as a mini tournament at the Imperial Ground. Woodland Road Wanderers came back to grab some more glory and won the mini -tournament. Poetic Champions were odds on favourites to win the cup and the double ? but as we all know - anything can happen in the cup. Ross Burnham's Farmers reversed their earlier league defeat and ran out 3-1 winners in a fiercely competitive battle. 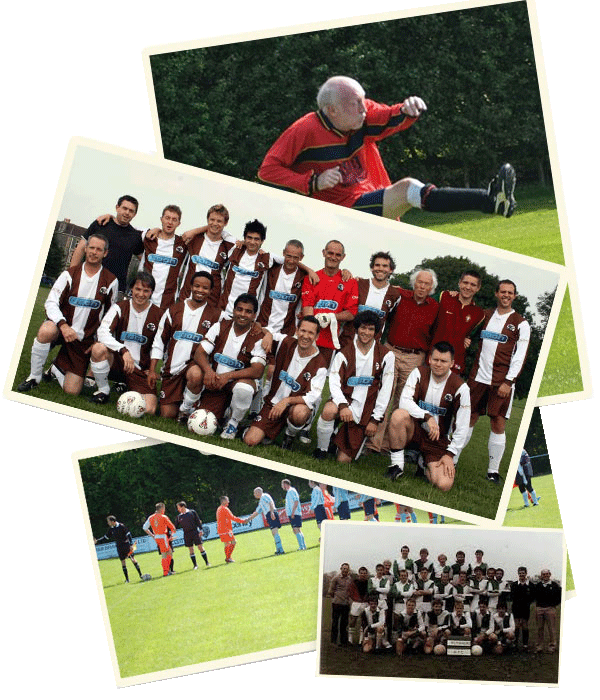 Year on year, more and more thirty, forty and fifty-somethings have realised that the Corinthians League offers a (fairly) safe haven, for competitive - yet corinthian - football. The League now boasts nearly seventy clubs playing across five Over 35 divisions, and two rapidly growing Over 45 divisions. Over the years, the League has given effectively any profits to local and regional charities - nominated each season by the winners of the various divisions/cups. In the 2018/19 season we are set to break the £10,000 mark for the total given to charity since we started raising funds - more about that here.